If you're looking for used Jaguar SUVs and cars for sale near Portsmouth, New Hampshire, look no further than Jaguar Exeter, a full-service used Jaguar dealership with a wide array of competitively priced new and used Jaguar vehicles. Our selection of pre-owned Jaguar vehicles includes used SUVs like the Jaguar F-PACE, a sleek, stylish, and sporty crossover with an impressive fuel economy and luxurious interior that's sure to take your I-95 commute to the next level. Our selection of used Jaguar vehicles also offers options like the exhilarating Jaguar F-TYPE, a luxury sports car with top-of-the-line performance. 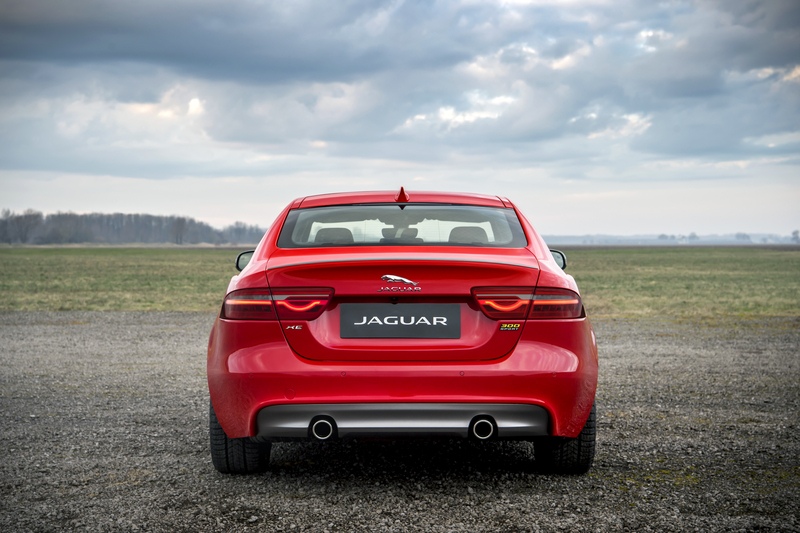 With a variety of other vehicles in our selection, including options like the Jaguar XE, Jaguar XF, and Jaguar XJ, you're bound to find something you like. Stop by Jaguar Exeter today to see these stunning vehicles first-hand! Find a used Jaguar model at your local Portsmouth, NH Jaguar dealership. At Jaguar Exeter, we're dedicated to providing New Hampshire drivers with the top-quality vehicles they deserve. We've helped thousands of local drivers from Portsmouth, NH drive home in a car they love. We understand that every customer has a unique set of needs based on their lifestyle and budget, and our friendly sales associates are more than capable of finding you the right vehicle based on those needs. Our financing professionals will also help to optimize the financial aspect of your driving experience so you can focus less on making payments and more on enjoying your vehicle. Call Jaguar Exeter today or visit our used Jaguar dealership near Portsmouth, NH to schedule a test drive and explore our selection of used Jaguar vehicles in person! We hope to see you soon. Any owner of a luxury vehicle knows that routine auto maintenance is absolutely crucial when it comes to preventing wear-and-tear damage. By staying on top of your auto service needs, you can preserve your vehicle's value, enhance its performance, and spare yourself from costly auto repairs and part replacements. Our Jaguar-certified mechanics offer a wide array of Jaguar maintenance and Jaguar repair services, including oil changes, tire rotations, brake service, transmission repairs, and much more. You can book an appointment right now by using our online scheduling tool or calling our service line. We hope to see you soon at our Jaguar dealership and auto service center near Portsmouth, NH!